Mr. Merel is a principal of Garfield & Merel, Ltd. The firm’s primary emphasis is in the area of real estate, banking and corporate financing. G&M has represented numerous financial institutions including Chase, American National Bank, First Midwest Bank, Wintrust Banks, American Chartered, Cole Taylor and many others in real estate and asset based financing. Mr. Merel has an AV rating from Marindale Hubell. In addition, Mr. Merel has been actively involved as a principal in the acquisition and sale of commercial real estate for approximately 15 years.  Since the formation of True North Investments, Mr. Merel has worked closely with Carl Manofsky and Timothy Luby in connection with the acquisition, leasing, financing, sale and disposition of various commercial properties located in Illinois, Florida, Georgia, Wisconsin, Tennessee and Pennsylvania.